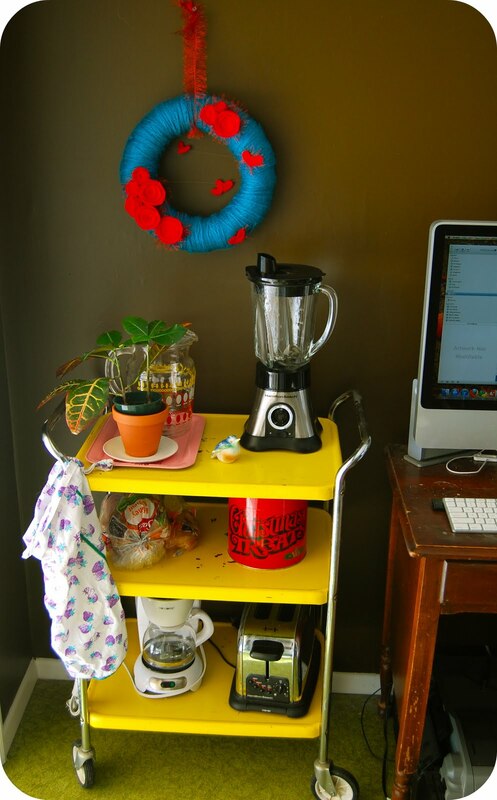 Doesn’t it feel good to make stuff? 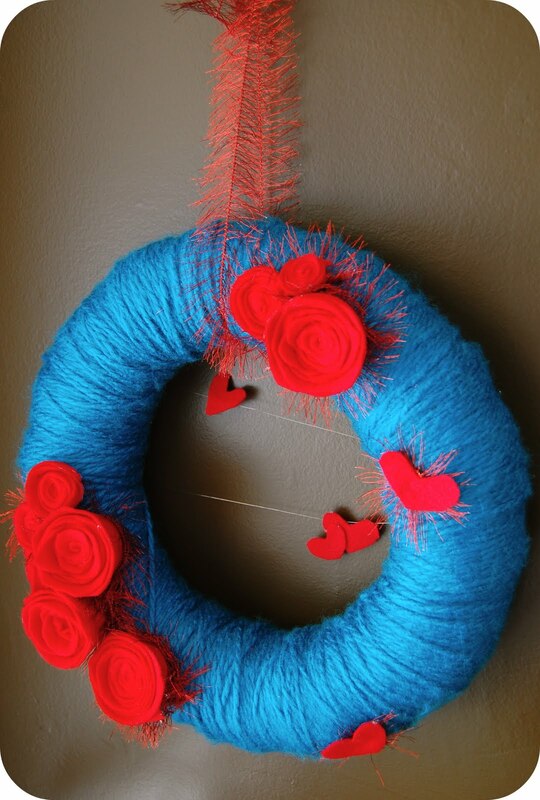 I’ve joined (albeit a little tardy) the throngs of crafting bloggers by making my own yarn wreath, to ring in the month of loving our beloveds, and our Beloved. Have always liked the turquoise, red, white color motif, so I went with two of those colors for my wreath. I spent $9.80 on the straw wreath, felt, yarn, and frayed ribbon. Stole some of Shawn’s fishing line for the “floating” hearts in the middle. 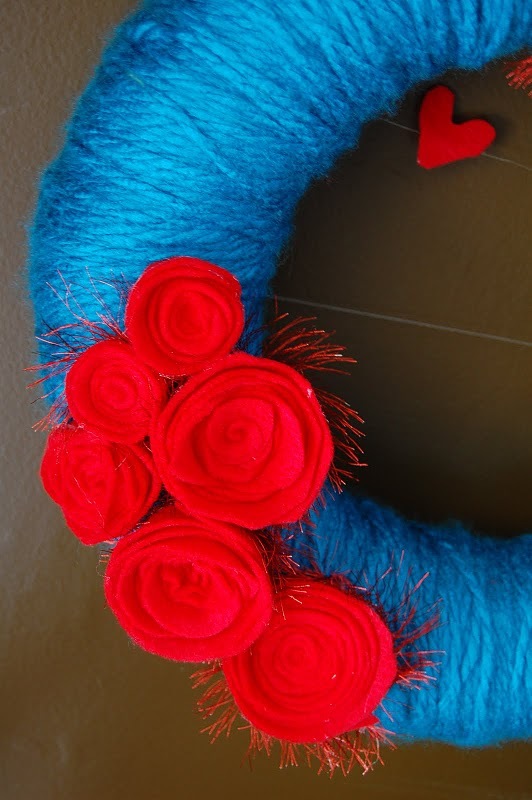 If you’re wistful for wreath ideas, look here, here, here, here. 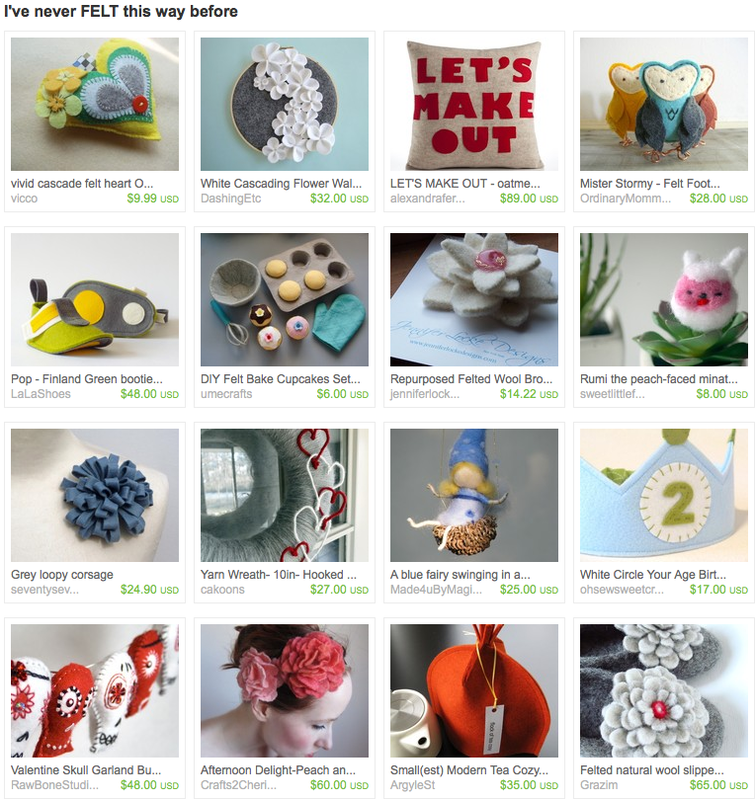 I created an Etsy treasury showcasing some of my fave felt and felted wool items.